Truck driving is tremendously risky occupation, consequently it essential that to perceive safe driving on the roads. Truck drivers are the most noteworthy part of this country’s transportation industry. Due to all the structural problems they face, they turn to reckless driving and this in turn leads to unfortunate mishaps. It is really compulsory to train the truck drivers to drive safely and carefully to avoid any misfortunes on the road. 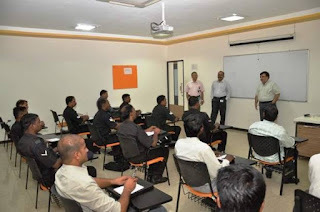 Mahindra Navistar initiated its unique ‘driver training’ advantage in its attempt to support and encourage the transport industry. This distinctive initiative addressed the shortage of trained drivers that the truck industry is facing at present. Medical Examination & Health awareness thoughts to educate the truck drivers. Vehicle familiarization and Troubleshooting Training. Training on Safe Driving practices. Petroleum conservation Training on economic driving including road test and star rating. 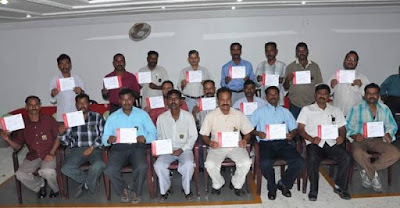 Mahindra Navistar also provided each driver with One Year Accident Insurance of Rs.1 Lakh to ensure safety and well-being of the truck drivers and their families. Mahindra Navistar believes in making everybody feel like an important part of the family – From grass root levels to top financers. Various initiatives are carried out to spread awareness and improve the trucking industry.